And also follow The Beach Bear story (@MaxDeGroot), which is a very amazing furry project that you will want to keep listening, download their songs and listening them all the time (Ask Roni, he's surely sick of me listening The Beach Bears all the time). Thanks for making this version of El Burrito Sabanero, Dipper!! P.S. Dipper is certified CUTE. You made my day, Paco! Thank you! You made my day, Paco! Thank you! "He didn't make mine! *mumble*grumble* calling me that c-word..."
Love this song! 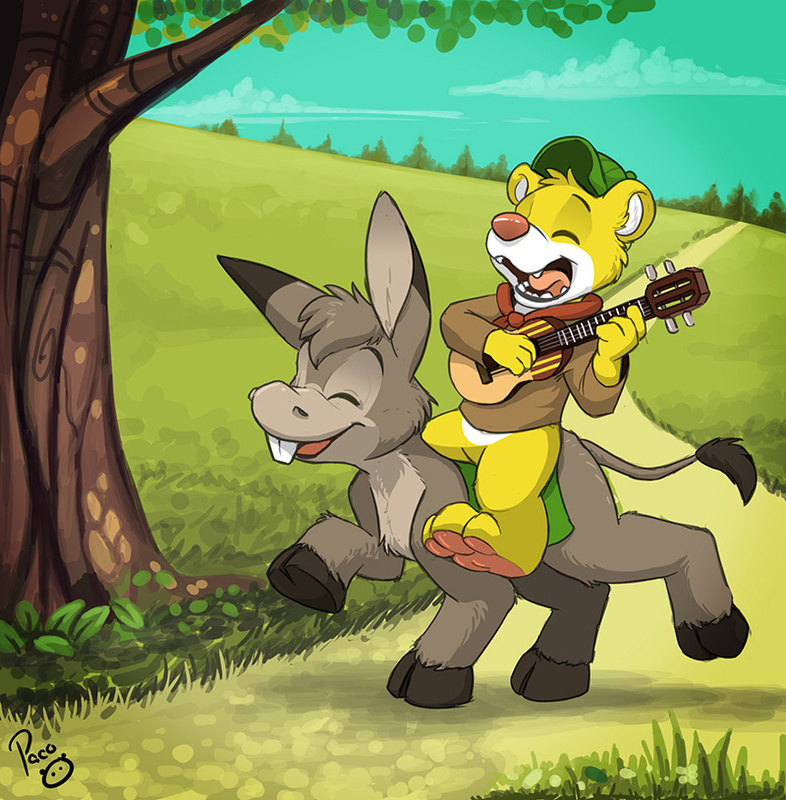 And such a cute piece of artwork to go along with it~! yo paco, u from PR?